← Musical Motivation, like a Diva! Note to self: Keep Going! Thank God that at the end of the day that little voice keep saying I will try it again tomorrow and I will keep telling to myself keep going even if sometimes I don’t think to know where I am going, eventually I will have to get to where I am supposed to be and find the person I supposed to find! 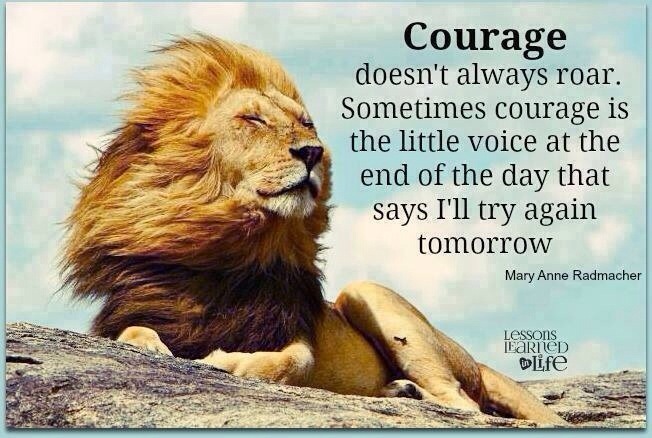 As of now, I will take that little voice and I will start a new week in the hope that with work, faith and God my courage will start to roar! Have a nice week everyone! Let’s roar loud and clear! Picture found it in Facebook. This entry was posted in Blog, Dreams and goals, Journalism, Life, Motivation, New York, Personal and tagged Courage, Dreams, Faith, Goals, Keep Going, Life, Love, Motivation, Personal. Bookmark the permalink.